Bill and Donna Davis have been a part of Ethos 360 since 1979! Ethos 360 is an organization all about reaching Unreached People Groups (those with 1-2% Christian or less), particularly those with no Scripture in their language and no viable opportunity to hear the Gospel. This is achieved through training and sending missionaries worldwide to evangelize, plant churches and do Bible translation. Bill and Donna Davis’s role is increasing missionary effectiveness through helping the missionaries reach the high level of fluency they need. Bill is over a large international team which is developing updated materials for missionaries in the area of culture and language acquisitions (CLA) including the software they will use. This will facilitate the missionaries in reaching fluent, ministry-level ability to communicate the gospel of Christ, to make disciples, and translate the Bible. The Davis’s also train missionaries at the Radius International campus based in Tijuana. These graduates go to difficult places like India, Indonesia, Central Asia, and sub-Saharan Africa to target Unreached People Groups. 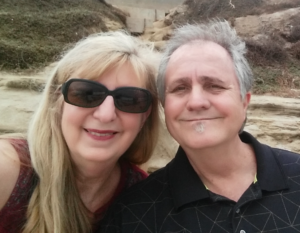 The Davis’s coach missionary language learners and train others to do the same kind of coaching in Brazil, Mexico, Indonesia, India, Egypt, and Nepal. They train Westerners and non-Western missionaries such as Indonesians, Indians, Mexican, and Filipinos, including some tribal people who were formerly unreached people groups but are now reaching others. Click here for more information about Ethos360 and to read Bill and Donna Davis’s blog.